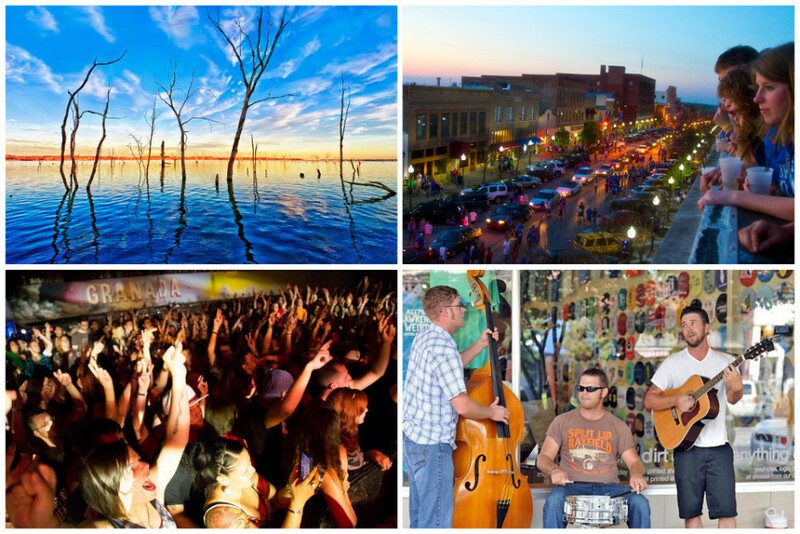 What makes a town “the coolest”? In the end, it’s the same as what makes travel the coolest: the people. And yet there seem to be a few common patterns that attract cool people to certain areas, or perhaps it’s the other way around: people’s creativity and innovation helps lead their towns in a cooler direction. Three things. 1: Location: Appalachian highland terrain with wilderness options left and right. 2. An almost ridiculously welcoming, supportive local community. Want to come and start a craft meadery? An archery shop? An electronic music collective? A wildcrafting camp? An integrative medical practice? You’ll find people stoked you came, and going out of their way to help. 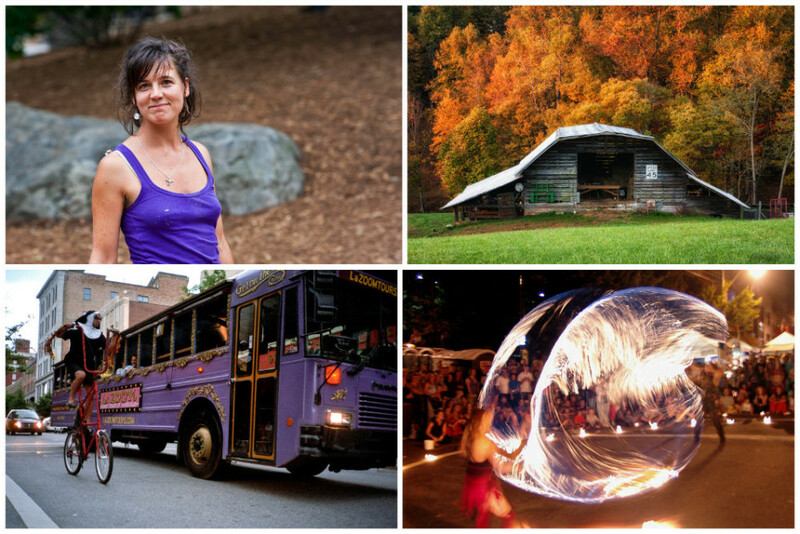 3: A chill Southern family-friendly culture. Kids are welcome everywhere and there’s a total lack of pretension. The girl you chatted up at WALK? You’d never guess she's a world-champion kayaker. The bearded bro who served you an IPA? You’d never know his brewery made a million dollars last year. Early power breakfast at Sunny Point. Then go run the Green. Bonus points if it’s fall. If you’re not a boater, go on a day hike along the Horsepasture River. Come back for dinner at Chorizo, then cocktails at the Crow and Quill if you want it laid back or next door at Tiger Mountain if you want it rowdy. If there’s someone you like playing the Orange Peel, don’t miss it, or just roll the dice at New Mountain. Where else can you go skiing, sailing, and mountain biking in the same day? Frisco is one of the only towns in Colorado’s Ski Towns Association without an actual ski area. But with Copper Mountain 5 minutes away, Breckenridge 10 minutes, and Vail 25 minutes, it’s got all the ski-town advantages without the overwhelming crush of tourism. Summer brings a buffet of outdoor recreation -- mountain biking, rock climbing, hiking, fly fishing, camping, cycling, sailing -- and idyllic weather. Visitors, second homeowners, and locals peacefully coexist in this impossibly quaint alpine playground complete with a pedestrian-friendly main street. Eggs, croissants, and dark-roasted coffee at the Butterhorn Bakery provide fuel for a day of skiing at Copper Mountain in winter -- take the free bus -- and an evening of tubing under the lights at the Friso Adventure Park. In summer, hike up Mount Royal (2-3hrs) or Peak One (4-6hrs), or mountain bike Peaks Trail (beware of moose!). Spend the afternoon on the water: Run class-II/III Ten Mile Creek, ending at the town's wave park -- Ten Mile Creek Kayaks provides transport and rentals. For flat-water fun, rent a boat at the Frisco Marina on Lake Dillon. Come evening, take a self-guided tour through Frisco Historic Park for a glimpse of Rocky Mountain pioneer life. Dine on sausage sampler, cucumber salad, soft-baked pretzels, and one-liter Stiegls at Prost. Revel late into the night at almost-famous dive bar, the Moose Jaw. They don't call it the Californian Riviera for nothing, the coastline of Laguna Beach is one to remember. This little village, which began as an artist colony and retreat for Hollywood celebs in the 1920s and 30s, has become one of the top destinations in Southern California. Yet despite its popularity, Laguna has retained a lot of its bohemian coolness. 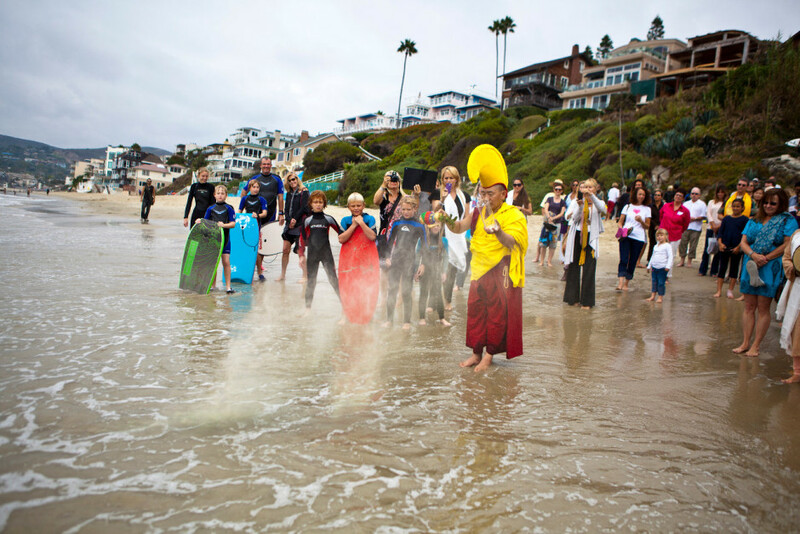 Whether you're on the water or on a hike in the hills, Laguna is all about the views; they inspire the art scene that thrives in this little community. 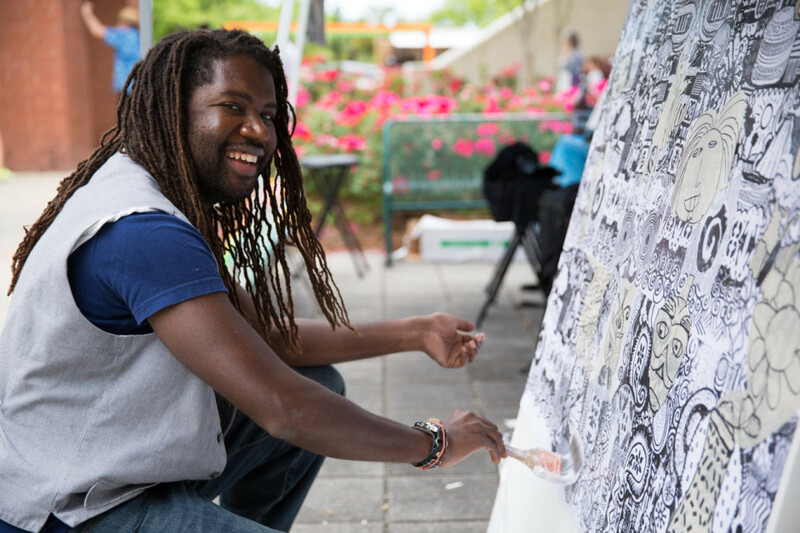 In the summer, make sure to check out the Sawdust Festival, Pageant of the Masters, or Art-A-Fair. You gotta start the day with a surf at Brooks street, you ain't doing it right unless you're in the water first thing. Afterwards, refuel yourself with an acai bowl from Bonzai Bowls and get ready for a hike. The Laguna Coast Wilderness Park near Emerald Bay winds itself up to the bluffs high above Laguna, with views that are pretty insane. Head down to La Sirena grill and score yourself a calamari burrito. Close the night out with a drink or two at The Sandpiper, also known as the "Dirty Bird" (Thursday's Reggae night is especially awesome). Yes, North Charleston is a separate entity from Charleston proper, and not a place to be overlooked. With new industry expanding such as Boeing, Blackbaud, and even a Google headquarters 30 minutes north, young people are choosing to build their careers and their homes slightly further from the city center. East Montague Avenue in Park Circle was basically designed for the burgeoning Millennial population of the area, with endearing dive bars like The Mill, next to fancier places like Fratello's Italian Tavern. After spending a day at Riverfront Park or catching a Stingrays hockey game, enjoy a She Crab pizza pie from Park Pizza for dinner, or some gastropub fare at Sesame Burger. Then pick up some local brews at The Brew Cellar, or head to The Sparrow to admire murals of Gandalf and Bill Murray as you listen to musicians from the neighborhood play their sets. 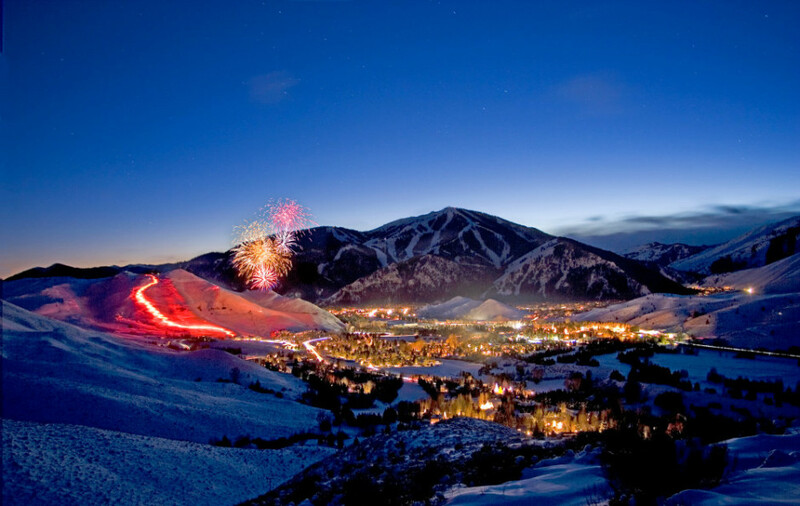 Sun Valley has been "cool" since before the word existed as anything besides a temperature measurement. The pictures hanging in the hallways of Sun Valley Lodge tell the story -- Ernest Hemingway at his standup desk putting the finishing touches on For Whom the Bell Tolls, JFK and family laughing on skis under a mid-winter sun, Marilyn Monroe dancing the foxtrot to the Glenn Miller Orchestra. Much has changed in those years, but the Sun Valley of today still puts 'having a good time' atop the priority list. A beautiful blend of outdoor adventure, high-class culture, and enough restaurants and bars to keep even the most jaded urbanite satisfied. Grab a cup of coffee at the Coffee Grinder. In winter, lap Sun Valley's bowls before refueling on an Irving's dog and skiing the trees until limping into Apple's Bar and Grill. Soak in the hot tub at Zenergy, then take a seat at the Pioneer Saloon's bar for a Wolfarita and prime-rib sandwich, 'D-style.' In summer, take a sunrise paraglider flight with Fly Sun Valley. Grab sandwiches from Big Wood Bread Cafe, then ride Sawtooth Valley's 17.8-mile Fisher Creek loop. Head to Redfish Lake for an evening water ski, and it's a night around the campfire under a billion stars. 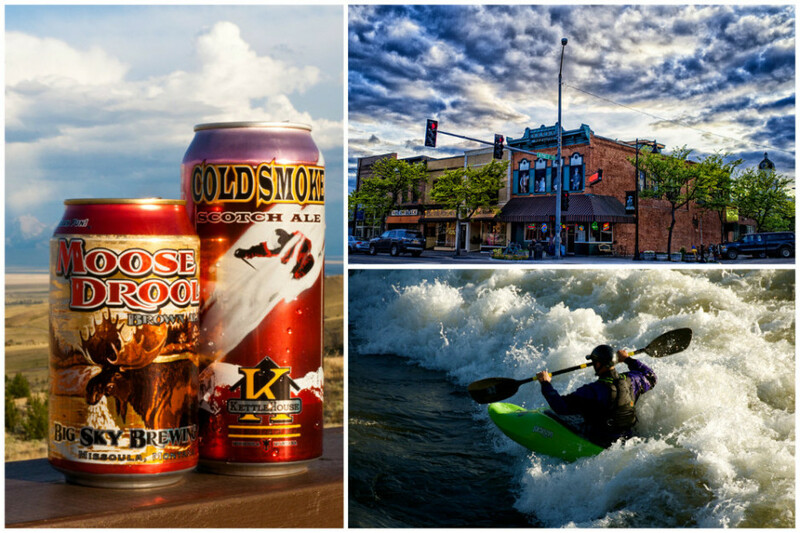 Missoula is the art and cultural epicenter of Montana all while being an hour from seven national wilderness areas, and countless national forests, recreation areas, and river access points. Not only does it have the highest hipster-to-civilian ratio in Montana, it also has the most PhDs working at bike and coffee shops. Grab a Missoula Independent and drop into Le Petite Outre for espresso and cardamom pastries. In summer, fly fish for trout around the downtown bridge, then trade the pole for a paddle and kayak-surf Brennan’s Wave. Take mountain bikes to Woods Gulch and Three Larches trails in the Rattlesnake area. 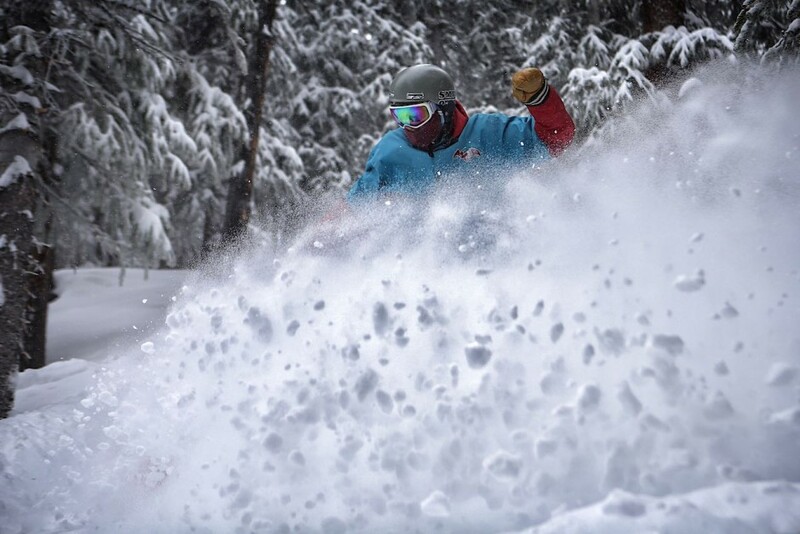 In winter, shred Snow Bowl or go backcountry on Lookout Pass. Shop Missoula’s “Hip Strip” stopping for gear at The Sports Exchange and boutique clothing at Betty’s Devine. Then enjoy a pint of Cold Smoke Ale at the Kettle House before downing a burger at Old Post. Dig out that Independent and find live music from local bands like Radio Static. 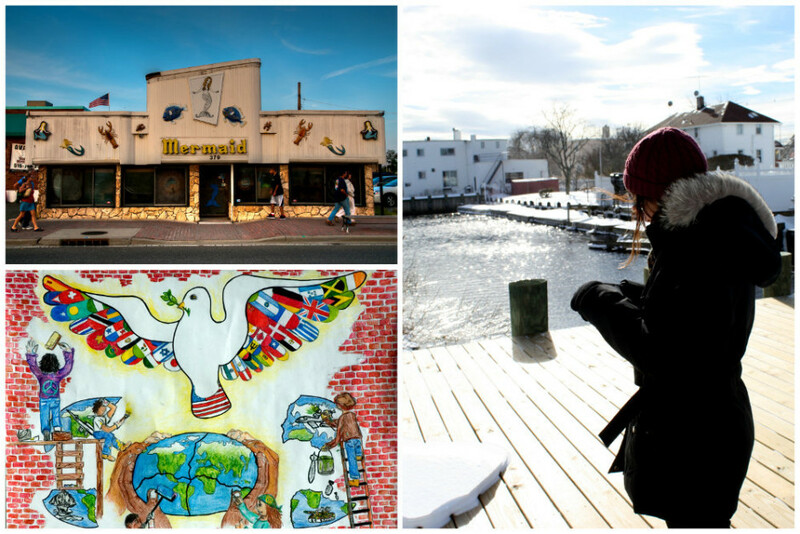 Freeport is a resilient little piece of Long Island, rapidly rebuilding itself after the devastating damage done by Hurricane Sandy. While other suburbs are seeing a millennial mass-exodus due to high real estate issues, Freeport’s population continues to grow with a diverse mix of young families and people looking to live close to Manhattan, without all the noise, garbage, and hipsters. The Nautical Mile, a strip of classy seafood restaurants like E.B. Elliot's, and outdoor clubs like Bracco's, is at the town’s disposal, and has direct access to the Atlantic ocean for those wishing to cruise in via boat. Grab some strawberry cheesecake pancakes at the Imperial Diner, a longtime Freeport staple located in the center of town, which is less of a greasy spoon and more of a “Wow, they serve organic, free-range chicken? !” sort of joint. Ride your beach cruiser to the rec center and check out the ongoing arts and culture classes held there, then head down to the Nautical Mile for some fried shrimp and sunset drinks at Jeremy’s Ale House. This tiny town in southwest Texas has a lot going for it: it’s home to an established and impressive arts and culture scene, it’s home to the Marfa lights -- a supposed paranormal phenomenon in the night sky -- and it’s within driving distance of Big Bend, one of the country’s most beautiful national parks. 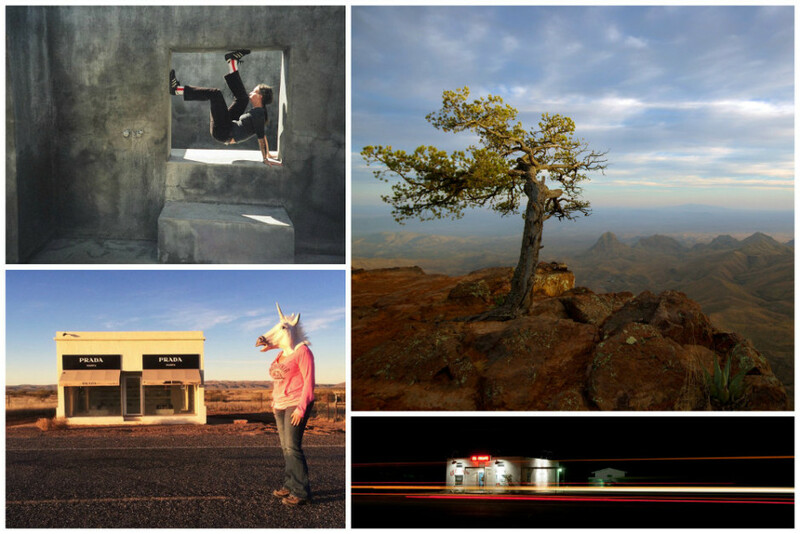 Its minimalist art scene is second-to-none for small towns, it's in beautiful west Texas -- right by Big Bend National Park -- and it's home to the eerie, awesome Marfa lights. Get up and grab a coffee at Frama and then take a drive to Big Bend for some hiking. Get back in the afternoon and check out the newest art exhibits Chinati Foundation before grabbing a drink at Padre’s and heading out to a viewing platform to see the Marfa lights. It's a college town, but a sweet one at that. Lawrence is not fussy or trendy -- it just a great area for creative folks to show the world that Kansas can be seriously cool, especially its epic music scene; people travel there from all different states just for the tunes. Almost every bar and shop, like Replay Lounge or Love Garden Sounds, sells records or used CDs, and The Granada hosts legit musical acts; Taking Back Sunday, Dan Deacon, and Ingrid Michaelson have all played there. After sleeping in from "studying," go shopping for quirky dishes and prairie antiques at Amy's Attic, or Blue Heron. Have an early meal at Zen Zero (their Shrimp chips are the bomb), then just drink your way up and down Massachusetts Street, mingling with underagers and recent grads who haven't figured out the next move. End your night at the Bourgeois Pig, where they make infused vodkas and an excellent cucumber gin. 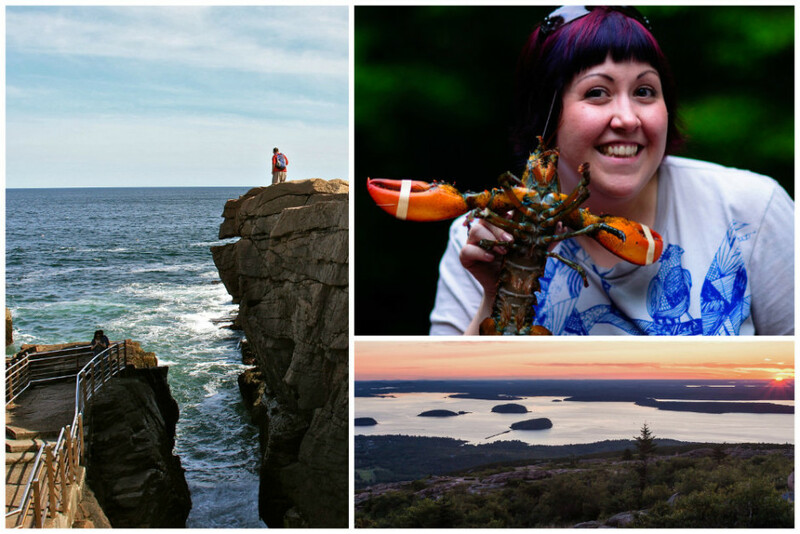 MDI is the island that Bar Harbor and Acadia National Park are located on. Working at least one season there is a rite of passage for Maine kids -- and it's often described as this vortex, where you work one season and end up never leaving. People work at restaurants, they guide rock climbing/kayaking, they work on boats -- it's basically an island filled with kids who never figured out how to grow up. Locals have the advantage of enjoying areas like Gorham Mountain, Thunderhole, Shore and Sand Beach, and the Precipice Trail during the spring and fall, when the island is nearly deserted. Check out the Lakewood Swimming Hole for a relaxing swim or place to drink with your friends in nature. Later on you can play some ring toss and eat french fries until 1am at the Dog and Pony Tavern, or listen to some awesome local music at Finback Ale House, or the Thirsty Whale. Just make sure to buy your lobster from a "real" lobsterman. 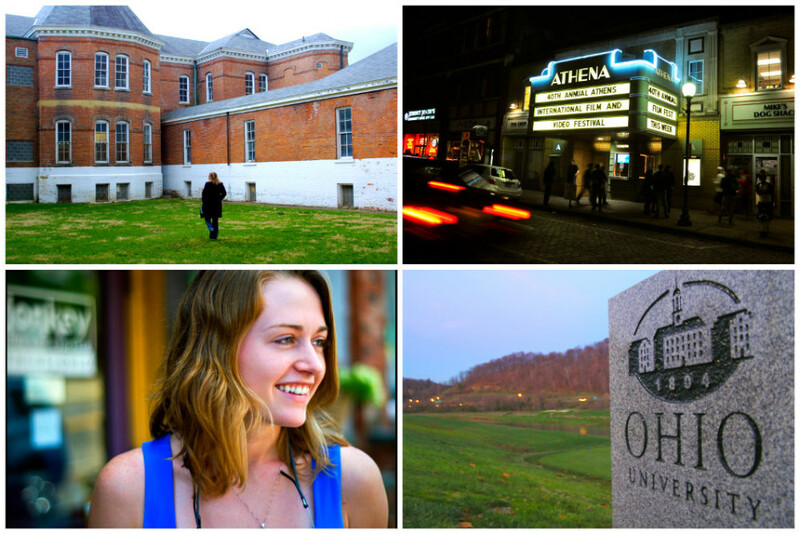 Athens is a progressive oasis in the western Allegheny foothills, known for its music scene, massive street festivals, supposed hauntedness, and, of course, the college the town revolves around: Ohio University. Awesome folk and bluegrass music and Athens' penchant for crazy block parties, including their epic Halloween bash that hosts tens of thousands of people. Wake up hungover and head out into town to watch an OU football or basketball game. After that, grab a vegan Mexican meal at Casa Nueva and head to one of the many block parties (hopefully, it's Halloween or 13fest) and listen to live music in the streets while sipping beer. Drop by Jackie O’s Brewpub after for a pint of craft beer and pizza. With a buzz on, head to Ridges Cemetery in the hopes of catching sight of a ghost before rocking a house party. 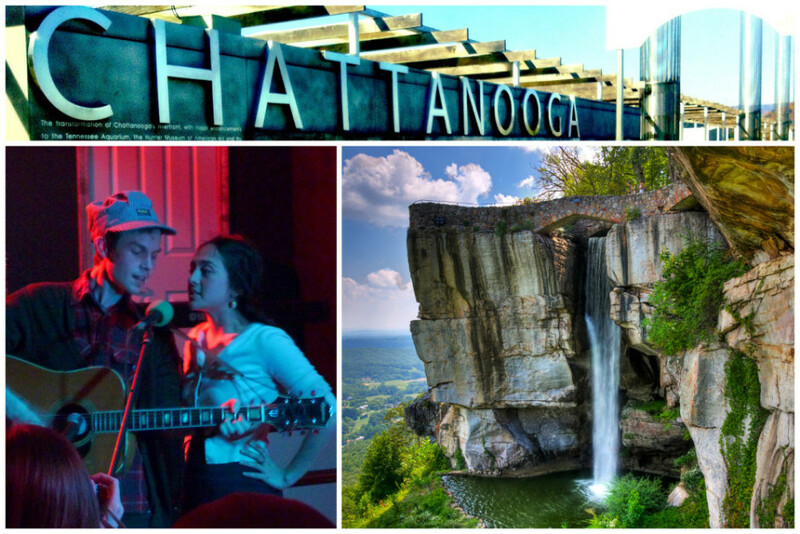 Chattanooga is a beautiful little city with its long, curving waterfront along the Tennessee River and steep surrounding ridgelines of the Cumberland Plateau. As with other cities in the South, cost of living is super cheap compared to other regions of the country (average home cost less than $150k and low property taxes), and the local economy has thrived over the past decade, with major companies such as Volkswagen and Amazon building facilities there. The Appalachian terrain surrounding Chattanooga (and areas such as Walden's Ridge and the Cumberland Plateau) is full of cliffs, creeks, waterfalls, and year-round access to some of the best climbing and whitewater paddling in the country. Check out: North Chicamauga Creek / Pocket Wilderness. Day climbing session at Sunset Park. Cheap lunch at Milk & Honey, or Sluggo's Vegetarian Cafe. Dinner: BBQ at Beast + Barrel. Evening stroll across Walnut Bridge, then bars along Frazier Avenue, or Hixson Pike. Stay at the Crash Pad. 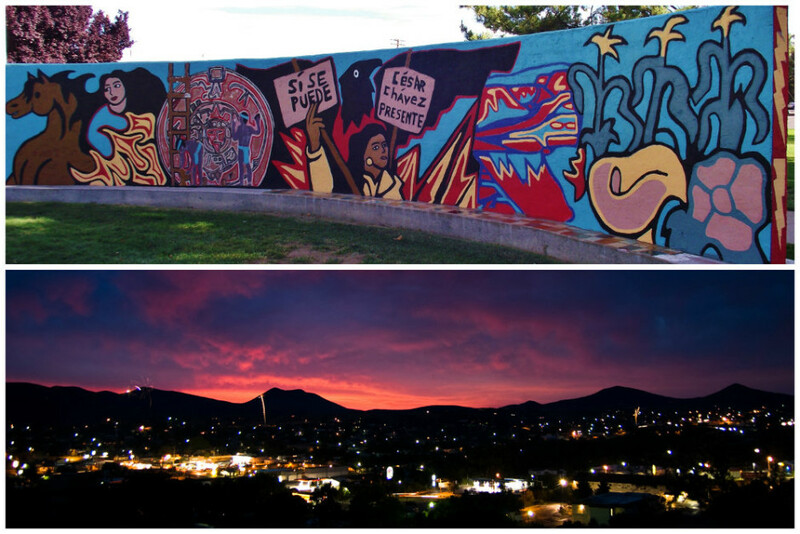 Unlike the many abandoned former mining towns that pepper the American west, Silver City has adapted in the post-mining era to become a home for artists, musicians, writers, and students at Western New Mexico University. Silver City is right by the empty, beautiful Gila Wilderness, and is also home to one of the best arts scenes in the state -- which means killer music festivals and galleries all over the place. You get up early and head out to the Gila Wilderness to go for an early morning hike before it gets too hot, and come back into town for lunch at Cafe 1zero6. Then you get some culture at the Silver City Museum and, if you’re lucky and it’s the right time of year, head to one of the music festivals or possibly the Wild West Pro Rodeo. You finish the day with a beer at local dive Buffalo Bar. 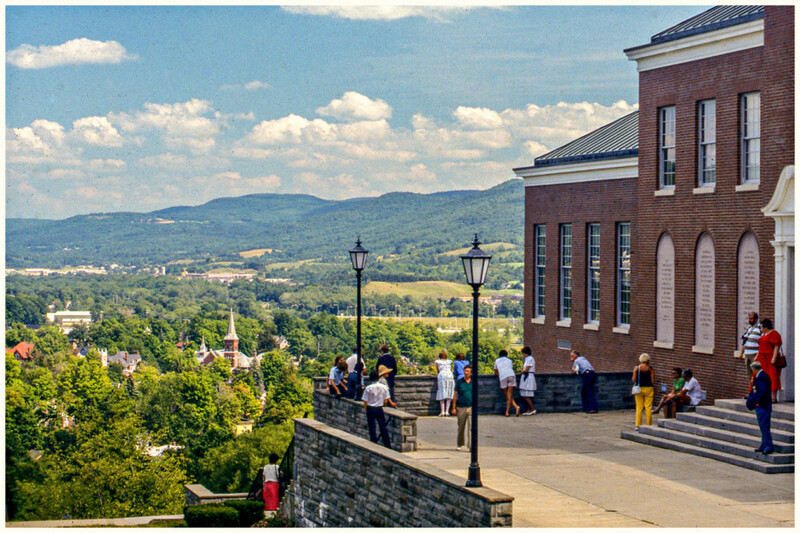 It’s home to Hartwick College and SUNY Oneonta, but Oneonta manages to have an identity beyond just being a college town. The town puts a big emphasis on sustainability -- both environmental and economic -- and is in an absolutely beautiful setting in the Catskill mountains. Amazing food, a progressive, sustainably minded populace, a yearly hot air balloon festival, and nearby access to some of the best ski mountains in the Catskills. Nuff said. Start the morning by going on a hike around the Table Rock loop near Hartwick, and then grab a cup of coffee and a bite to eat at the Latte Lounge. In the afternoon, you can go to the nearby Baseball Hall of Fame in Cooperstown, and in the evening get some delicious ice cream at Pie in the Sky. Then watch some music over a beer at the Black Oak Tavern. Mercer has had several heydays beginning in the 1920s when it was a haven for Chicago mobsters like Frank Capone and John Dillinger. The 1950s brought a proliferation of mom-and-pop resorts when the lakes were overflowing with fish. Since then not much has changed. Nowadays, instead of dodging gangsters, you’ll be threading ancient forest trails on foot or bike. Timeless with an understated cool factor, Mercer is just far enough 'up north' to escape whatever it is you're looking to get away from. Chances are pretty good whatever 'it' is won’t follow you here. Mercer is the kind of place where an old-school live bait shop shares space, and ownership, with a coffee shop turning out homemade pastries, scones, and perfectly prepared espressos. Visit Mercer in the fall, when the trees are exploding in color. Rise early with the loons, then grab eggs over easy, hash browns, and toast with strong black coffee at Tom's Country Cafe. Head over to Cramer Lake Road to chase the wily Ruffed Grouse through the woods. Play a $20 round of golf at Tahoe Lynx, a course carved from dense forest. Come evening, down cold Leinenkeugels and cast daredevil spoons for northern pike back at the lake. Dinner is in town at The Pines for veal schnitzela and always more beer (this is Wisconsin after all). Just a short and sweet ferry ride across Puget Sound from Seattle and you're on the Olympic Peninsula and a totally different world. 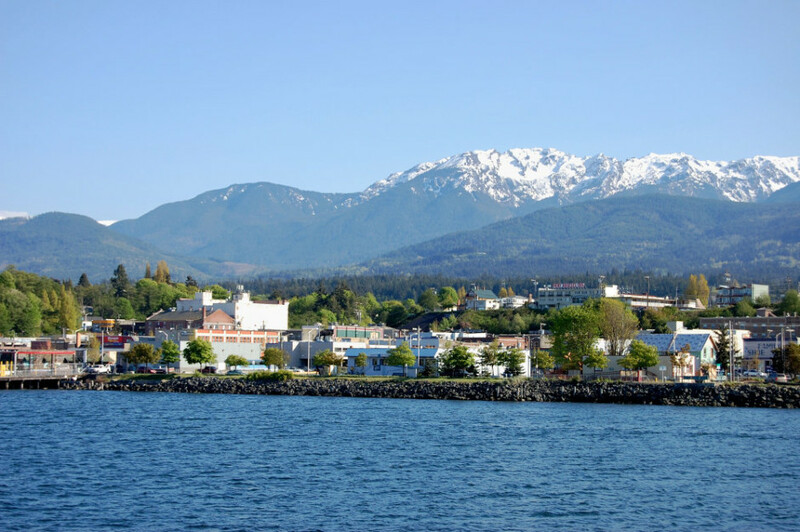 Port Angeles is one of those places where the landscape is in your face and the traditional methods of getting fresh food on your table (mussel harvesting, salmon fishing) are alive and well. Pound for pound, Port Angeles has the most diverse wilderness access of any town in the US and is one of the only places where you could easily surf and snowboard (and possibly even kayak) in the same day. Besides surf and paddle spots in the immediate vicinity -- Elwha River mouth, campground, and hot springs(!) -- it’s only a short drive to La Push, home of the Quileute Nation and the vast Wilderness Coast trail. Check swell / surf conditions, then choose spot accordingly (Elwha River mouth, Crescent Beach), or, if you don’t surf, hike up to the Elwha hot springs. Stop at Cafe New Day for provisions, then go enjoy the rainforest / ocean. This small town of 16,000 on the Jersey Shore is quite possibly one of the best towns for music in America. Never mind that it sits on the Atlantic Coast and is full of cheap bars and delicious food: this is the home of Springsteen, and when a star that big gets his start in your town, musicians will flock to your intimate, legendary venues for decades after he leaves. 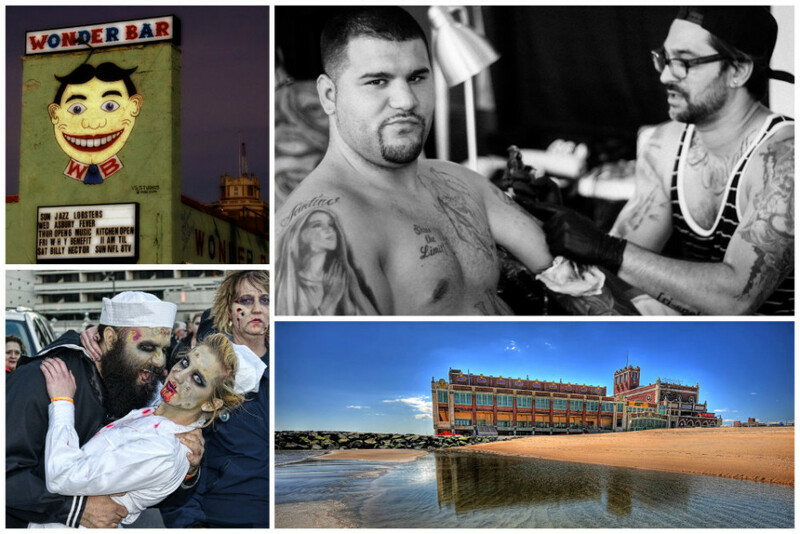 AP's got some of the best music in the state, it's got a beach and boardwalk, it has cheap beer and delicious food, and it's super gay friendly. Oh, and also: Bruce Springsteen. A typical day in the summer starts off with waking up and going fishing on one of Asbury’s jetties, and then relaxing on the beach for a few hours. You could grab brunch at Toast or catch a quick screening of an independent film at the Showroom. Then you’d head to happy hour -- if you had a dog, you could take it to Wonderbar’s “Yappy Hour” to let it play with other dogs while you grab a beer. Maybe, if it was the fall, you'd get to see the world's largest gathering of Zombies. Then catch some live music at Asbury Lanes or the Stone Pony (maybe Springsteen will drop by -- it’s not unheard of), and head to Johnny Mac’s to play some Skee-Ball and get some free pizza. Don’t blink and miss this quirky Appalachian town that has grown beyond the liberal arts college on which it was founded, and is now known for its handmade arts-and-crafts scene. There are over 40 craft shops and boutiques, with everything from quilt-makers to glassblowers to chocolatiers. Aspiring artisans can sign up for any number of day-to-week-long workshops in an array of crafts, including furniture making at the renowned Kelly Mehler School of Woodworking. Delve into the heart and soul of traditional American handcrafts. Start at Berea Coffee & Tea on College Square. Tour Berea College, learning about its unique work-for-tuition structure and rocky history. Hit the boutiques around College Square -- marvel at Warren May's Dulcimer Shop -- and work your way down Chestnut Street before heading two miles outside town (via walking/biking path) to the Kentucky Artisan Center. 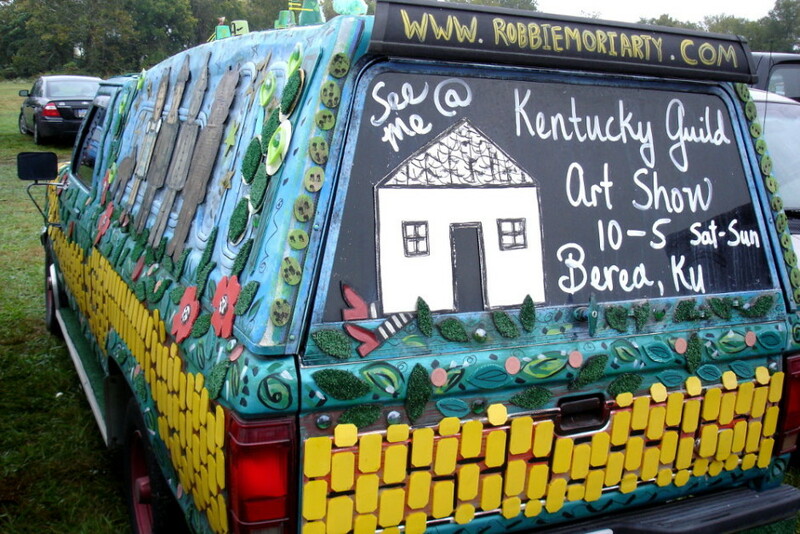 Glass, pottery, weaving, jewelry, antiques, furniture -- Berea has it all. Devour a local, grass-fed burger from Village Trough for lunch, then hike the Pinnacle on Berea Forest Trail for the area's best views. Dine on spoon bread and slow-roasted Kentucky lamb at Boone Tavern. Finish with live bluegrass back at the Village Trough. Even though more than one third of its population is made of students from the University of Northern Iowa, with its heritage downtown and its extended network of trails, Cedar Falls is much more than a college town. Cedar Falls has a great bar scene to reminisce on your good ol’ college days, an extensive network of trails, and so many artsy boutiques that you’d think they are going out of fashion. 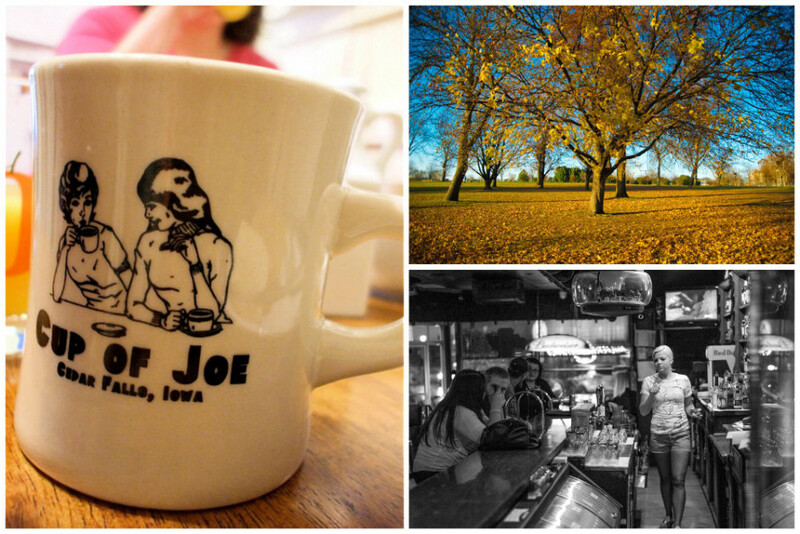 Take a stroll through Cedar Falls’ historic downtown and stop at Cup of Joe to enjoy an organic and fair trade cup of coffee; the great 1950s vibe, local artwork on the walls, and games to play in the back on the vintage, colourful couches will take up most of your morning. When you’re all coffeed up, rent a bike from Bike Tech to explore the many, many trails of the area. 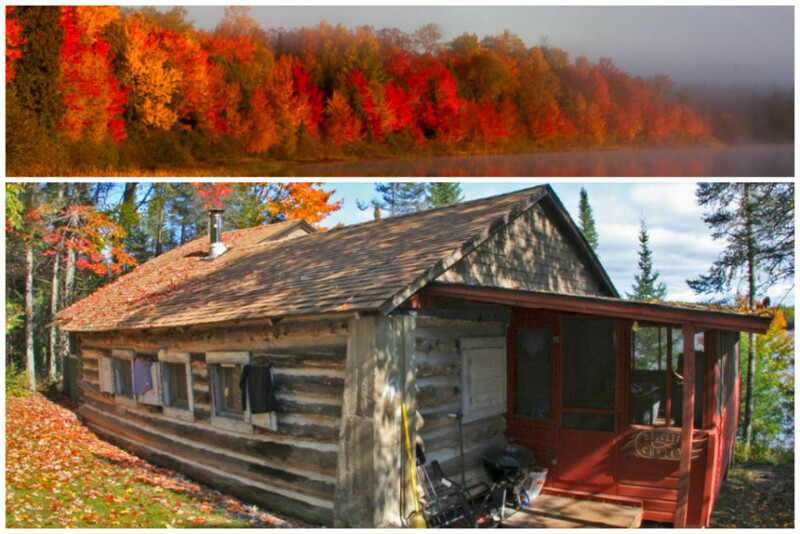 George Wyth is a hot spot along the Cedar River offering fantastic views. To recuperate from all the exercise, hit Luna for a few glasses of wine. You won't regret it. Fennville's got all of the laid-back vibe of its coastal neighbor, Saugatuck, without the hordes of 'I'm richer and artsier than you' tourists from Chicago that flood the area in summer. It's got vast stretches of sandy Lake Michigan beaches, vineyards, killer Mexican food, and artists who care much more about art than the art scene. It's a warm and welcoming community filled with migrant workers (hence the authentic foreign food available), artists, and families who want to try their hand at living more simply. 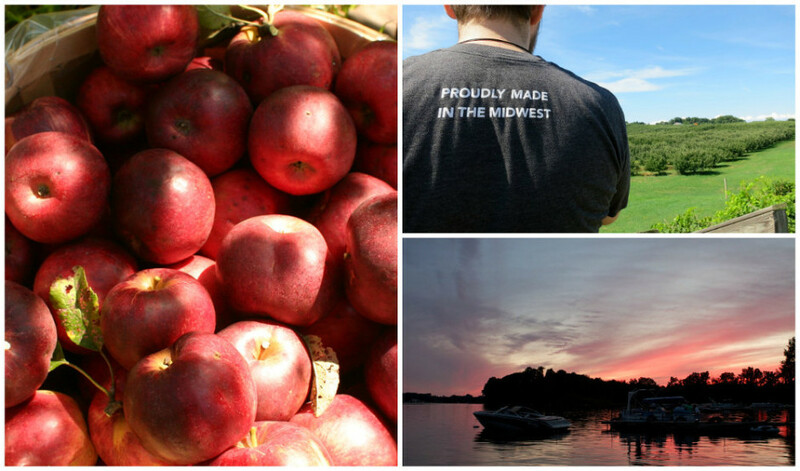 Go apple picking at Crane's Apple Orchard, then wander around a nearby flea market as you look for inexpensive treasures. Hit up Fenn Valley Vineyard and sample some ice wine, port, and a cherry wine. Get to know firsthand why they call Lake Michigan the third coast (depending on the weather, you can skim board or kitesurf). Finish the day out with a rustic, locally sourced meal at Salt of the Earth, a ridiculously charming and full of heart farm-to-table restaurant that puts big city eateries to shame.